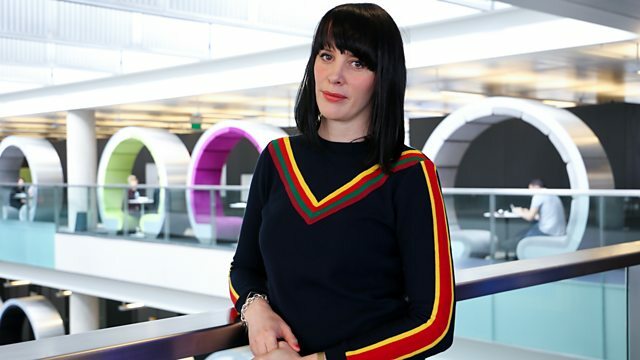 Elizabeth Alker presents Radio 3's classical breakfast show, featuring listener requests and the Friday poem. Symphony in D major "Veneziana"
Ensemble: London Mozart Players. Conductor: Matthias Bamert. Music Arranger: Craig Leon. Singer: Andreas Scholl. Orchestra: Orpheus Chamber Orchestra. Ensemble: Bach Collegium Japan. Conductor: Masaaki Suzuki. Farrenc: Nonet & Clarinet Trio. Choir: The Choir Of Trinity College, Cambridge. Singer: Anita Monserrat. Director: Stephen Layton. Music Arranger: Moses Hogan. Singer: Barbara Hendricks. Choir: Moses Hogan Chorale. Conductor: Moses Hogan. Orchestra: Los Angeles Philharmonic. Conductor: Leonard Bernstein. Orchestra: Orchestra of the Age of Enlightenment. Director: Alison Bury. J.S. Bach: The Brandenburg Concertos; Orchestra of the Age of Enlightenment. Ensemble: Original soundtrack to the film. Choir: Choir of King’s College, Cambridge. Performer: James Lancelot. Director: Philip Ledger. Music Arranger: Estrella Morente. Performer: Estrella Morente. Performer: Alfredo Lagos. My Songs And A Poem. The Music Of John Williams: 40 Years Of Film Music. Ensemble: Ensemble Paris-Bastille. Director: François Leleux. Francois Leleux - Richard Strauss.